Then one day, you were taking a trip down the information super highway — known to some as “the internet” — when all of a sudden you read that there was much more to Sailor Moon than you had been led to believe. Eternal Sailor Moon flew around naked. The Sailor Senshi died. Oh, and what’s this? Some of the Sailors were lesbians?? I think I speak for many of us in my generation of Sailor Moon fandom when I say that the exposure to Haruka and Michiru’s relationship was an incredibly eye opening experience. For that reason alone, these two characters will always be incredibly important to me. 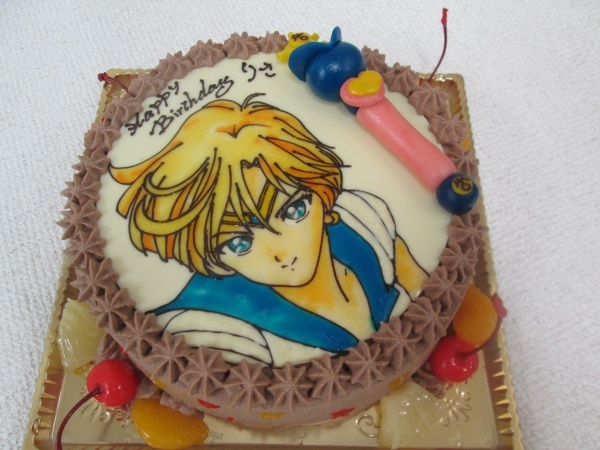 In honor of Haruka Tenoh’s birthday, I’d like to take the opportunity to highlight five interesting facts about the Senshi of the wind and her role in Sailor Moon. Happy Birthday, Haruka! What Is the Correct Spelling of Haruka’s Last Name, Tenoh or Tenou? Wait, which one is it Haruka?! While I’m sure I’ve made quite a reputation for myself about being a stickler for the every little tiny detail in the Sailor Moon universe, I’m just going to say up front that I find it absolutely absurd that fans even argue about this. And argue they do! As someone who’s been a part of the Sailor Moon internet community since the late 90s, I can say that I’ve seen this argument come and go since the earliest days of the fandom. So, since this is a question I see from time to time in my inbox and DMs, I figure it’s time I throw in my 2.27 yen!1 What is the correct spelling? How Absurdly Expensive Was Haruka and Michiru’s Rent in Sailor Moon? 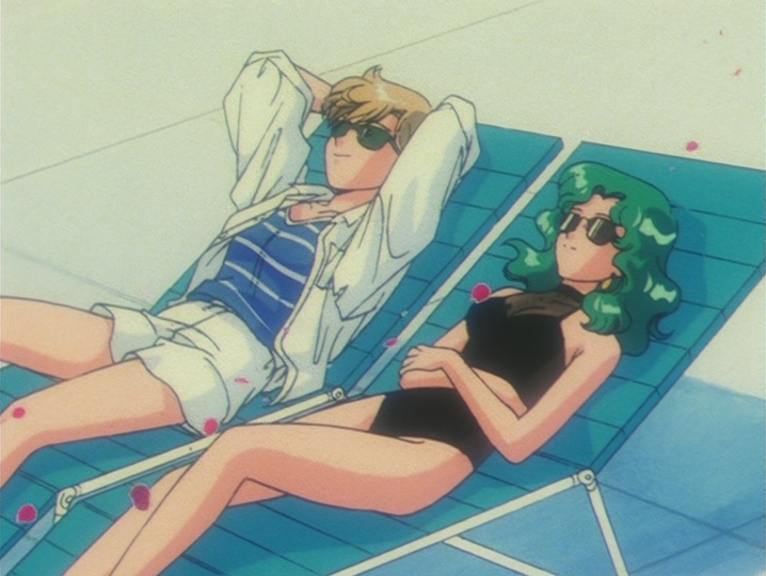 Between the race cars, motorcycles, helicopters, violins, and other extravagancies, I’m quite sure we’re all pretty much on the same page that Sailor Moon‘s Haruka and Michiru are ridiculously wealthy. And we’re not even talking about Usagi “I Own a Million Dollar House” Tsukino style wealthy here, either. We’re talking about the kind of money you and I dream about while we eat instant ramen. Today we’re going to take a look at just how out-of-this-world Haruka and Michiru’s rent really would be. I hope you brought your calculators, because things are going to get intense! 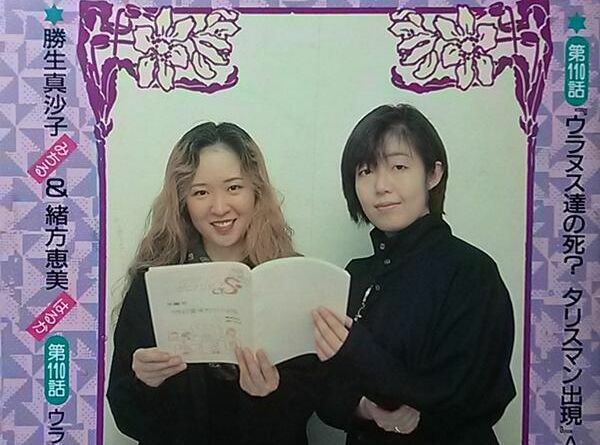 How Were Haruka and Michiru’s VAs Told to Portray Their Characters? Though the arguments have mostly settled down in recent years, discussions over the nature of Haruka and Michiru’s relationship was, at one time, one of the most hotly contested debates in the nascent days of the North American Sailor Moon fandom. Today, we’re going to take a look at an interview conducted with Megumi Ogata and Masako Katsuki, voice actresses for Haruka Tenoh and Michiru Kaioh respective, and see how they approached figuratively, and literally, breathing life into their characters. Do Haruka, Michiru, and Setsuna’s Names Refer Back to Usagi? Names are something I’ve talked about at length in this blog, from those of the main cast down to the lowly monsters of the day, and odds are good that this is something I will continue to talk about for a long time to come. Today, we’ll be taking a look into the some possible inspirations behind the names of our favorite Outer Soldiers. Why don’t you come along for the ride? 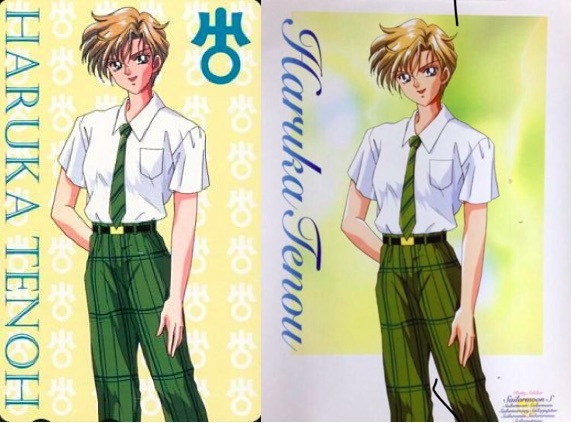 Why Did the Outer Senshi Use Lipstick in Their Transformations? This is yet another one of those questions that I’ve been wondering about for a long time that could either be something as simple as a design choice made up by either the animation staff or Ms. Takeuchi herself, or might actually have some sort of deeper meaning behind it. After all, the staff behind the Sailor Moon anime didn’t hesitate to make some pretty far-reaching, if arbitrary, decisions to alter characters personalities. However, for the most part, most of their changes were for the sake of adding in additional meaning to the anime as references for astute fans. 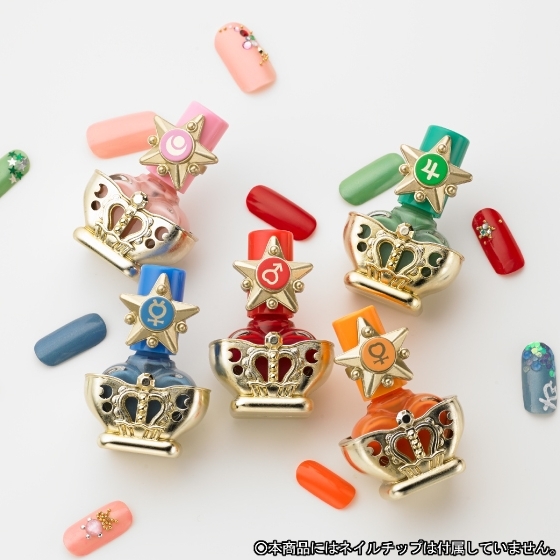 So why is it that, while every one of the Sailor Soldiers either has their nails painted during their transformation (or showcases their painted nails during when transforming into their Super forms), the adding of lipstick is a characteristic unique to the Outer Sailor Soldiers. 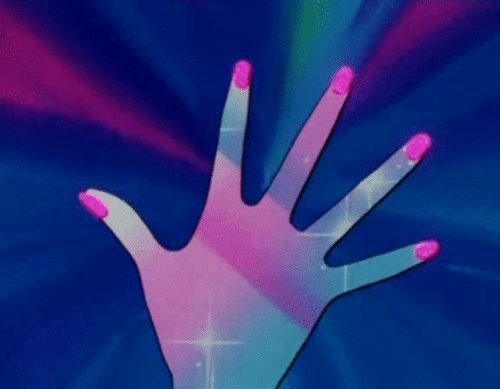 Making things all the more interesting is that Sailor Saturn is excluded from this quirk, and her transformation clearly showcases her magical manicure. As best as I can determine, this design choice was most likely made in consideration of the target audience of the anime, and what is actually considered “adult” to them. After having watched, read, and played Sailor Moon in its myriad of forms, it’s easy to forget that the magical items they use are real-world items and that their “Make Up” transformation phrase is not only a nifty thing to shout, but also directly references the transformations these young girls are making into sailor-suited heroines. And in this case, it also is referencing real-world make-up. According to a 2014 web survey conducted by My Navi Woman1 on women’s age when they first wore lipstick, the number one response was 18 years old, at 20.3%. Though the second most common response, 12 or younger, was at 19.8%, this actually is in the minority when you calculate the rest of the ages together. Taken as a whole, >60% of women responded that they were either 16 years or older when they first used lipstick. The same age range, incidentally, as Haruka, Michiru, and Setsuna. But for those numbers to be meaningful, we need to know about Japanese manicure trends. Fortunately, Benesse did a survey in 20112 with Japanese parents on just that. As early as 6 years old, 44.1% and 26.5% of girls were reported to being either interested in or actually painting their nails, respectively. Though the painting of nails is still forbidden in the vast majority of Japanese schools – even through high school! – it nicely highlights the point on what kind of makeup girls Usagi’s age and younger have in mind. 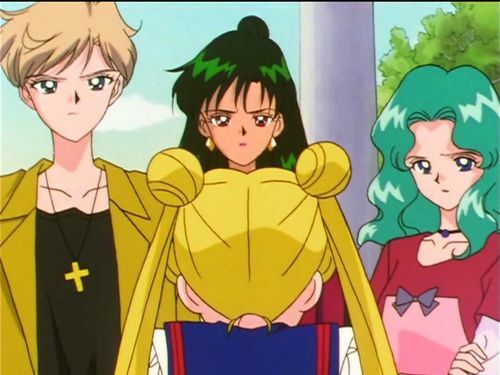 While this is by no means any sort of definitive proof of why the three talisman-bearing Sailor Soldiers all have lipstick applied when they transform, I think it does at least give an interesting insight into Japanese attitudes toward makeup which may differ from those in the West. If I were to wager a guess, I would say that the point in doing it this way was to highlight the age difference between the new and mysterious Sailor Soldiers being introduced in the Death Busters Arc and to give them an added sense of maturity. It also explains why Hotaru goes along with the others in just having her nails painted. What do you think about all this? Do you think there was any sort of deeper meaning behind it, or just a stylistic choice of the animators?